After that [28 mins. 48 secs.] filmmaker Lana Wilson ("After Tiller") returns for her third visit to the podcast. After collaborating on her last feature, Wilson goes it alone with her new documentary, "The Departure". The film, which had its festival premiere at Tribeca Film Festival, follows the story of Nemoto, a former punk-turned-Buddhist-priest in Japan, who has made a career out of helping suicidal people find reasons to live. But this work has come increasingly at the cost of his own family and health, as he refuses to draw lines between his patients and himself. The film will have a theatrical engagement at the Metrograph in NYC beginning on Friday, October 13th, and then an engagement at the Laemmle Monica in L.A. before going wide. Lastly, [51 mins. 35 secs.] 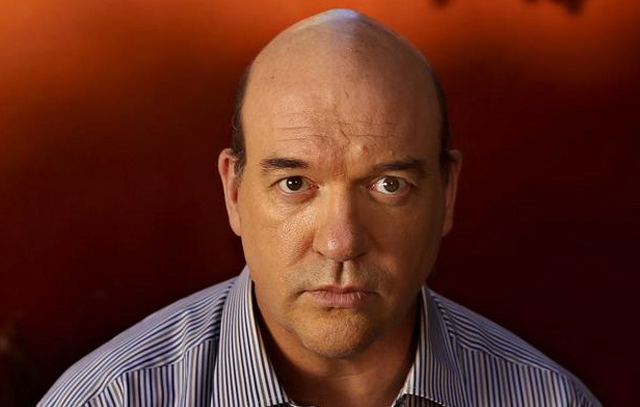 actor turned filmmaker John Carroll Lynch ("American Horror Story", "Fargo") discusses his directorial debut with the dramedy, "Lucky". The film, which is being distributed by Magnolia Pictures, stars the recently deceased Harry Dean Stanton as 90 year old Lucky who has been a life long atheist but now finds himself on a spiritual journey which includes the quirky characters that inhabit his off the map desert town. It's an appropriate and loving swan song for one of America's great actors.